You can reach the hotel by a two hour ride from the Liberia International Airport followed by another four to five hour ride away from the capital city of San Jose. Another option is to take flight from the San Jose to Nosara on Nature Air or Sansa. 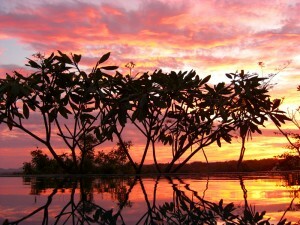 There are 24 accommodations in the Harmony Hotel and those are set on a path surrounded by beautiful tropical garden. Near the pool, you will find the Coco rooms that are open onto their own private, enclosed back patio. These rooms feature a sitting area and heated shower. You can also stay at the Bungalows that are featured with a comfortable furnished seating area, raised floor including an inviting bed. There you will find a front deck furnished with hammock that ideal for enjoying some relaxed time as well as watching the stunning view of the area. There are also two-bedroom suites that are set just steps from the ocean and those suites include bedrooms featured with luxurious king size beds and a beautiful deck furnished with hammocks and and feature a mini bar. In the Harmony Hotel property, you will find an open air restaurant that offers a variety of delicious dishes. All the meals are prepared by experience chef and with the organic food products including vegetables, fruits and sea food. This restaurant collects the fresh food products from its own farm. There is a juice bar that serves fresh juice, mind blowing cocktails and tasty healthy foods. In the Harmony Hotel property, you will find two open-air Yoga studios that are perfect for practicing your yoga workouts at the time of staying at this hotel. You will be able to breath fresh air as this hotel is surrounded by deep green jungle and while practicing you will have natural track such as the sounds of geckos and singing birds coming from the jungle and that will make you feel inner bliss. 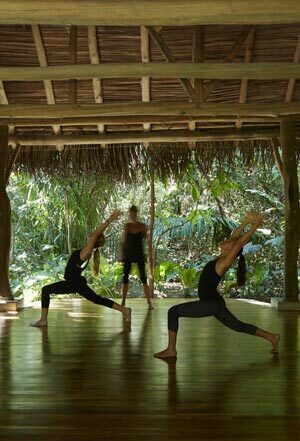 While practicing your yoga workouts, you will also enjoy watching the amazing view of the surrounding area. In these two open air studios, a variety of yoga classes are held in seven days a week. All the classes are instructed by experienced instructor and customized for all levels of yogis. Adjacent to the yoga studio, there is also n additional open-air yoga sanctuary set close to a lily-filled pond. There is a healing center operated by experienced therapists who will sooth the tired and exhausted travelers and sore surfers. You can enjoy skin treatment for which only handmade immediately fresh for each session with local fruits and plants are used. There are plenty of options to choose from and enjoy a variety of fun and adventure activities in the surrounding area of the hotel. From the hotel through a jungle path you can reach the Playa Guiones and enjoy surfing there. If you want to enjoy exploring the natural beauty of the area, you can go for a nature walk and also get the opportunity to spot different species of wild animals. You can also enjoy horseback riding through the Guanacaste region. If you love adventure activities, you can go for hiking. Canopy tours will also give you a thrilling experience. You can also go for enjoying fishing, sea turtle nesting tour, and also for coffee tour.